The WGY Radio Ranch show out of Schenectady, NY appears to have got its start in the early 1950s. 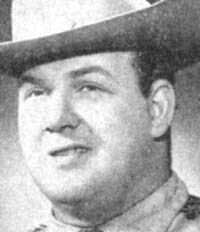 It has a bit of history for its main star, Ernie Lindell, was first on KWGB in Goodland, Kansas before arriving on the scene in New York. But that start sort of shows you the type of person Ernie was as he performed on these shows and other radio stations. 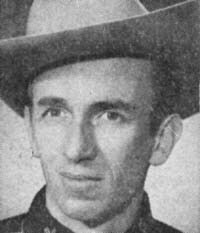 It was back about 1948 and Ernie Lindell had just finished his stint in the military service. But he had a 'break' of sorts around that time when an axle on his car sheared and suddenly, the new Cadillac loaded with musical instruments and his show props went up in smoke as the car skidded and crashed on a Kansas highway - a loss of nearly $12,000, back in those days, we're sure that was a good sum of money. But Ernie was a person who was a friendly type. Jim Blair, the general manager of KWGB in Goodland had just signed Ernied three days prior to that stepped up and underwrote Ernie's expenses on that accident and the band got replacement instruments and were back entertaining the folks back there on schedule. 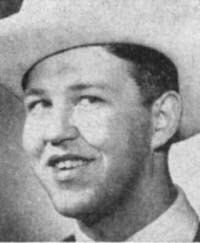 Ernie was quoted in a Cowboy Songs article then, "To have friends, you've got to be a friend." From Goodland, Kansas to Schectady, New York was the trail blazed by Ernie, but the details of that route are sketchy at best. It appears he started at WGY in the summer of 1953 as the article mentions this. And they wrote that even before he got to WGY, he had already appeared on 31 radio stations! But we do know that Ernie was said to have quite a loyal following in New York just as he did in Kansas. The listeners enjoyed his music and wrote him letters by the bushel. The Radio Ranch gang as they were known had a daily show over WGY from 1:05pm to 2:00pm and on Saturdays from 4:00 to 4:30pm. The Radio Ranch gang would also do the usual personal appearances at theatres, schools and community events in New York and other areas of New England. The seven-member Radio Ranch gang were the first complete "hillbilly" show to air over WGY since Otto Gray and his Oklahoma Cowboys were there in 1934. When they were on the air, the Radio Ranch gang would play listener requests as part of their entertainment. When they were on sage in person, the gang was known to do a two-hour live show. Ernie Lindell, you've already learned a bit about him - you can learn more elsewhere on the site. 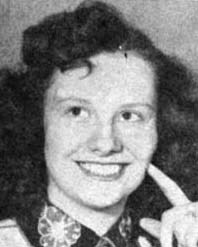 Candy Lindell, was entertaining folks in Massachusetts about 1949 or so when Ernie met her. She could play the guitar and bass. Ernie took an immediate liking to her, and she soon joined the cast and became Ernie's wife. 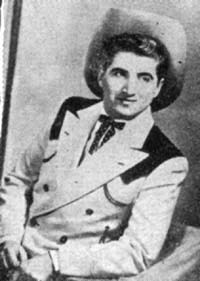 Stan Fish was one of the top steel guitar players back then. They mentioned that audiences enjoyed hearing the Hawaiian vocals he did back then. He learned those island tunes when he was stationed over in the Pacific with the U.S. Navy. He was also the arranger for the group. Speedy Wyman was the 'hot country fiddler' of the group, yet Speedy claimed he couldn't read a note of music. 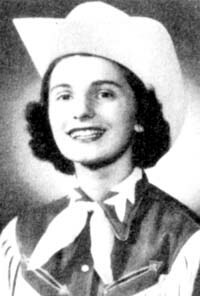 Squeezy Platte would often say "That's my grandma a'fiddlin'." But he could play a mean fiddle and could learn a tune just as soon as he heard it. Bobby Heck was the youngster of the group and a favorite with the female fans it seems. They always seemed to want his autograph first when they did their many personal appearances. He sang baritone for the group. Marion Bruno was the newest member of the group back then - sort of tiny for they say she barely weighed in at 100 pounds. But she could sing her heart out and they said her yodeling usually stopped the show. Then there was Squeezy Platte, said to be "Peoria's Pride". He tipped the scales at about 325 pounds then. 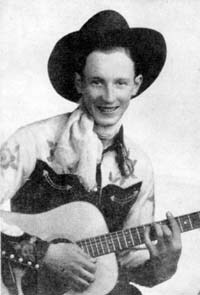 He sang, played the bass fiddle as well as taking part in the group's comedy skits with Smilin' Ernie Lindell.